Wearable, Interactive and Mobile Technology Access Centre in Health (WIMTACH)’s headquarters was packed full of eager students for an intensive two-day hackathon from January 27-28th, 2016 at Progress Campus. 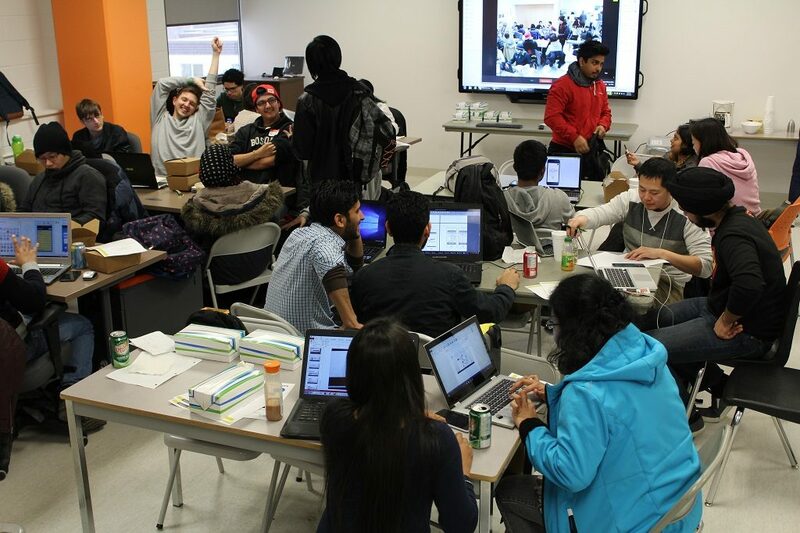 Sponsored by Smokebomb Entertainment, a division of the Toronto-based Shaftesbury Studios, the hackathon was the second hosted by the WIMTACH team. Yielding an outstanding turn out of 33 students, mainly from Centennial’s Software Engineering program, the participants brought their coding skills and enthusiasm as they eagerly awaited their tasks.